The Age of Grant Begins! With the Civil War’s Sesquicentennial drawing to a close with the anniversary of Appomattox on April 9th, we enter what we at Missouri’s Civil War Heritage Foundation like to call the “Age of Grant.” Following Ulysses S. Grant’s successful military career during the Civil War, we focus on following his life through the Reconstruction period and into his presidency. One goal: keep the excitement of the 150th anniversary commemoration intact. 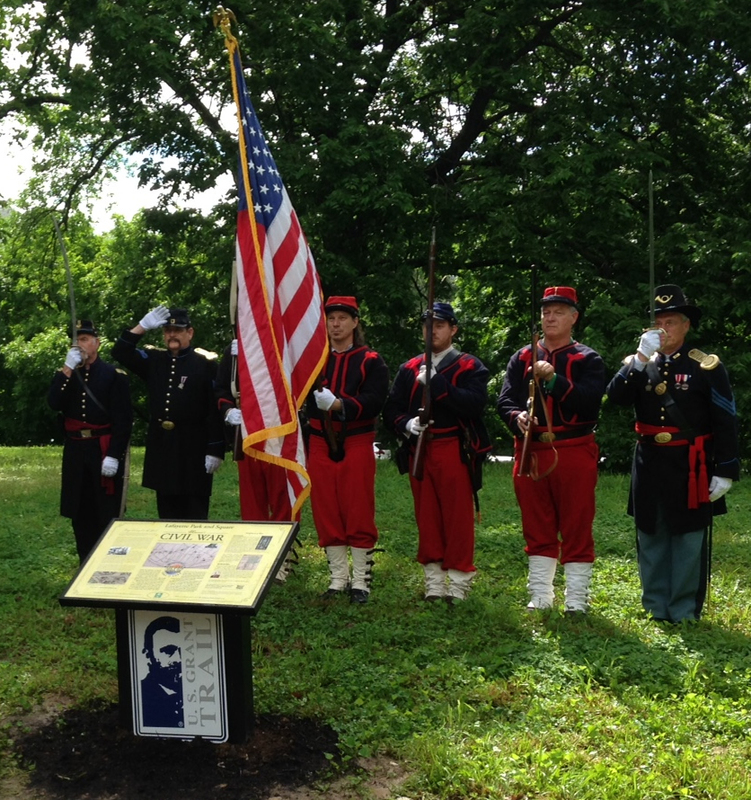 In 2012, sponsors embarked on the task of mapping and marking all of the sites in Missouri that have an association with the life and military career of our Eighteenth President, Ulysses S. Grant. The program has produced The U.S. Grant Trail™, consisting of two regional maps, over 100,000 of which have been placed for distribution to the public. Travelers have the opportunity to track the 1861 Civil War campaigns of General Grant from Quincy, Illinois, in the north all of the way to New Madrid, Missouri, in the south. We are happy to say that the U.S. Grant Trail is exploding with positive feedback and demand. MCWHF is also in the early planning stages of a third leg of the Trail, which will extend farther southeast into Missouri’s Bootheel. It is our hope that this map will begin production later this year. 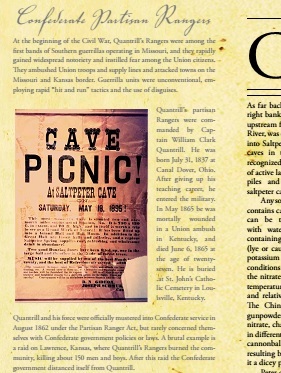 Meramec Caverns, Stanton, on May 23 will host a dedication ceremony for its new Civil War panel at the mouth of this world famous attraction. The Caverns’ panel describes the long history of the cave and its role in the Civil War. The panel will be dedicated on May 23rd at Noon. Follow the signs from the Stanton exit on Interstate 44. A complimentary lunch will be served in the dining room following the ceremony. For this purpose, please RSVP to Claudia at 573-468-3166. Graceland, Mexico, on April 30th, hosted a special dedication of their panel that focuses on the Civil War as Mexico, Missouri experienced it, as well as the role this historic house played in Mexico’s history at that time. The Graceland mansion is home to Audrain County Historical Society, The American Saddlebred Horse Museum, and the Mexico Firebrick Museum. The grounds also house the old Country School and Country Church. The event was sponsored by both the Audrain County Historical Society and the Mexico Chamber of Commerce. Keynote speakers included Tony Robertson of ACHS and Caitlin O’Leary of Missouri’s Civil War Heritage Foundation. Special thanks to the Missouri Humanities Council. Bellefontaine Cemetery, St. Louis held a special Civil War themed day of events on Saturday, May 2nd. 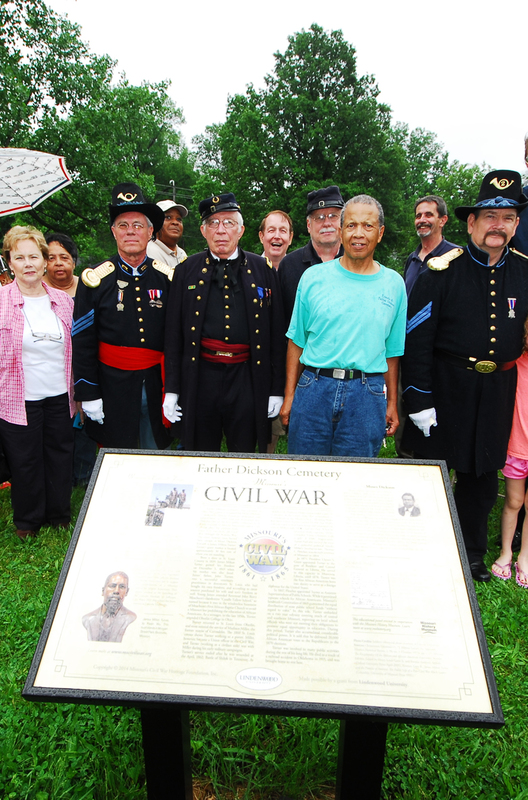 The events began with the dedication of their MCWHF Civil War panel. This particular panel features multiple Civil War figures who are buried in the cemetery, as well as biographies of James Eads, Adaline Couzins, and Frederick Dent, General Grant’s father-in-law. Following the dedication, there was a special Civil War-themed tour through the cemetery. The panel is sponsored by Friends of Bellefontaine Cemetery. Richard Lay of Bellefontaine Cemetery served as Master of Ceremonies with remarks by Missouri’s Civil War Heritage Foundation Executive Director, Gregory Wolk. The keynote speaker for the dedication was Stuart Symington, Jr. Special thanks to the Missouri History Museum. 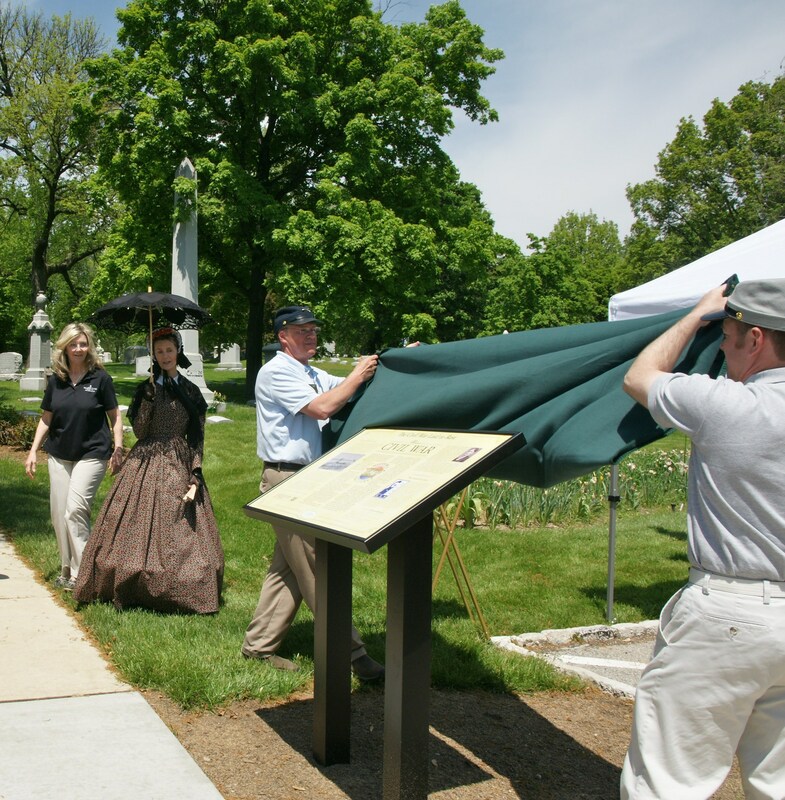 Father Dickson Cemetery, Crestwood, on May 9, dedicated a Civil War Panel with planned remarks by Esley Hamilton, Preservation Historian for St. Louis County Parks, and historian Kris Zapalac. This cemetery’s panel focuses on the prominent role of African-Americans in Missouri’s Civil War. Several important figures buried at Father Dickson’s are featured in the panel, including cemetery namesake abolitionist Moses Dickson, and James Milton Turner. Turner, appointed by President Grant in 1871, was the first former slave to serve as a foreign minister for the United States. Special thanks to the Missouri History Museum. 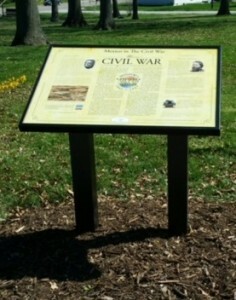 Lafayette Park and Square, St. Louis, on May 16, dedicated a MCWHF panel at the southwest corner of the park near the intersections of Lafayette and Missouri Avenues. This wonderful event featured color guard and re-enactors from the 8th Missouri Volunteer Infantry, as well as a dramatization of Lafayette Park during the Civil War. The old Square was the location of one of the ten defensive forts built under General Fremont in 1861. Lafayette Park’s new Civil War panel highlights the story of St. Louis’ Civil War forts and some prominent families who lived on the Square during the Civil War. Special thanks to the Missouri History Museum.